While a safety razor can help you get a clean and crisp shave every time, you have to be careful when finding a model that fits your needs. Merkur and Edwin Jagger both make safety razors that are suitable for your shaving demands. 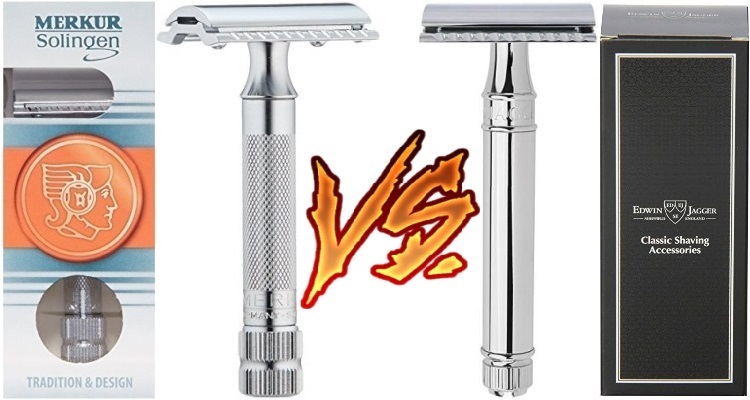 This review of the Merkur 34C vs Edwin Jagger DE89 safety razors will help you look at two of the most popular models that the companies make. These are both razor models that work well for your shaving demands. 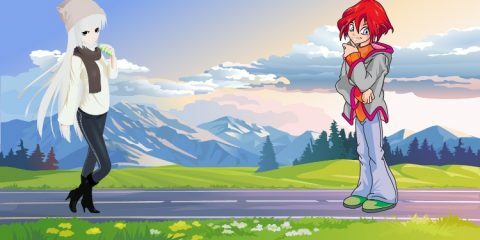 But there are also a few important differences between the two that deserve to be noticed before you make your decision. How Does the Merkur 34C Work For Your Needs? 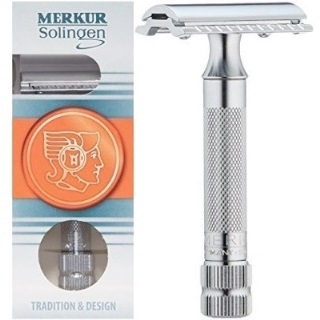 Merkur has been making quality safety razors in Germany since 1896. The company recognizes the importance of a precise shave, which is where the 34C comes in handy. The Merkur 34C is a wet shaver that gives you the trim you demand every time. The 34C uses a dual-edge blade that allows you to shave upward or downward around your face. The blade works in either direction for general or detailed shaving needs. The single-blade layout makes the model easy to clean off as well. The head uses its weight to produce a firm cut every time, thus giving you the relaxed trim that you have been looking for. The two-piece layout on the Merkur 34C provides you with a stable body for loading a blade in and out of the unit. The straight bar-head design on the top adds a sturdy layout as well. A grooved handle is featured in the middle part. The closed comb surface offers enough detailed grooves to help you keep a firm grip on the razor. You will maintain your hold even when the razor is wet. A platinum coating is included on the blades that this razor uses. The coating keeps the outside surface protected and ensures a solid cut every time you use it for your shaving needs. The razor is also available in various finishes, including a stainless steel, chrome, or gold finish. The entire set is around 2.72 ounces in weight, thus keeping you from feeling fatigued while using the razor. What Makes the Edwin Jagger DE89 Distinct? The English company Edwin Jagger makes the DE89 as a useful safety razor that offers a close trim every time you use it. The razor offers a balanced body that keeps you comfortable with every use. The smooth chrome handle on this razor gives you a comfortable grip for use. The handle is around 95mm long, although you can order a separate model with a short or long handle if you prefer. The 2.72-ounce weight on the handle is evenly laid out to keep the razor from being hard to carry around. Double-edge or DE blades are utilized on this razor. The blades are designed to work in upward or downward positions for your convenience. You can use this for cases where you need to target precise or specific areas or for when you’re aiming to handle traditional strokes for your shaving needs. The comb head is perfectly closed, although the process of adding new blades is easy to manage. You can insert a new blade into the base by using the locking mechanism on the inside. The design helps you to get your blade added in moments. You would open the top part of the comb head and then secure the double-edged blade into the middle part to keep everything aligned. A beautiful chrome finish is included on this razor, although you can also order this in one of many other styles. You can find the razor in a rose gold or ebony style if you prefer to use this. The bodies of the two razors are alike in that they both feature closed comb designs. You can add a blade into either razor and it will continue to feature a sturdy closed surface. The closed comb ensures that the razor will stay intact and will not shift or become improperly aligned. Also, the comb designs ensure that the blade will be positioned well on your skin without causing irritation or tugging. The risk of ingrown hairs being formed when shaving with a safety razor will be minimal. You will find that it is not hard for you to get a double-edged blade ready for your use. The double-edged blade on either model will help you trim many spots around your face in moments. 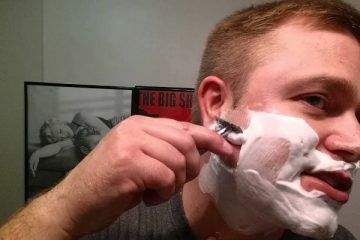 You can use a blade for many shaving needs while not being hard on the skin. The blades used on each of these razors are designed with precision and quality in mind. The German-made Merkur blades and English-made Jagger units are sturdy and will maintain their sharpness for a while. These are also designed with firm coatings, including platinum materials. Those coatings assist in producing a firm body over the razor to prepare a better cover all the way through. The problem with many razors is that they come with many small parts that make it harder for them to be cleaned off. Both of these safety razors are different in that they are easy to wash out and clear. You can get the blades cleaned off with water. Any bits of hair that your razor catches will be washed off in moments. The support ensures that the razor will remain comfortable with each stroke. The widths of these safety razors are around the same at around 41mm. The width is suitable enough for most of your shaving needs. The size standard also ensures you can get one of various blades installed into your razor. It is best to use the proper replacement blades that the companies sell themselves, but the flexibility of these razors is a plus. 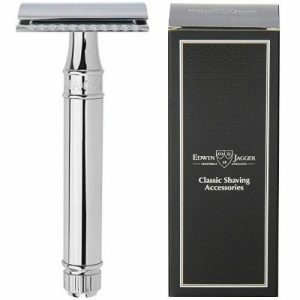 The Edwin Jagger razor offers a slightly longer handle than what Merkur has to offer. In fact, Jagger makes its razors in three lengths with each of them being longer than what Merkur provides. This may be useful if you need something a little larger in size while being easy to handle and to secure a firm grip. While Edwin Jagger uses a longer handle, Merkur uses a grooved surface on its handle. Jagger only uses a solid design on its handle, which might not be easy for all to handle. A grooved surface is included on the Merkur razor handle to give you a better hold all around. The chrome material used on the Edwin Jagger handle does still offer a comfortable surface that should feel comfortable on your fingers while you are shaving. The two razors feature closed comb bodies that are easy to work with, but the design of the Merkur razor features a few extra grooves on its comb. The added grooves provide you with a smooth surface for shaving that is easy to handle. The design is particularly convenient for helping you to keep a firm grip while maintaining the same stroke position all the way through. The weight for the two razors is identical, but the Edwin Jagger razor offers a slightly more even distribution of its weight. The razor has a body where the mass is divided up evenly around the collar parts of its body. The Merkur razor offers a slight bit of extra mass around its head surface, although that might be for helping you to get that part to move well over your face. The collar on both models includes grooved points. But you should look at what makes these two different. The Merkur razor has a two-tiered collar at the very bottom. Edwin Jagger uses only one tier at that spot. The grooves on those two collars are close to the same in density. Either surface will provide you with extra space for a good grip that is easy to hold and use. The better of the two safety razors to use is the Merkur 34C. The grooved surface on this razor makes it easier to utilize while also being simple in its layout. You can clean this razor off in moments as well. But as this Edwin Jagger DE89 vs Merkur 34C review shows, you cannot go wrong with either choice. Each of these safety razors will provide you with a great shave no matter what your needs might be. See how well these two models can work for you as you aim to find a suitable shave for your daily needs. Merkur 23c vs 33c vs 34c vs 38c : Which is the Best Merkur Safety Razor for You?